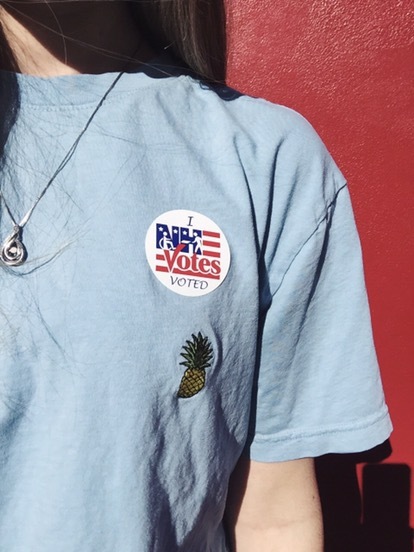 I’m 25 and, until today, I’ve never voted. I’m not going to say which bubble I filled in because the important thing is that I actually voted! I followed the election this time around and was nudged by loved ones to finally get out there and cast my vote. There are some bad vibes with this election, so please don’t make your friends and family feel badly for voting one way or another. The important thing is that they exercised their right to vote. If we’re being honest, are either of these candidates really perfect? No. Absolutely not. If you’re nervous about voting, don’t be! Take it from someone who waited 7 years to make it to the polls to vote, it’s very easy. Just make sure you’re making an educated vote by watching the debates, doing some research, etc. And if you don’t want people to know who you voted for? Don’t tell them! It’s your own business. I’m not going to lecture anyone, but go vote!